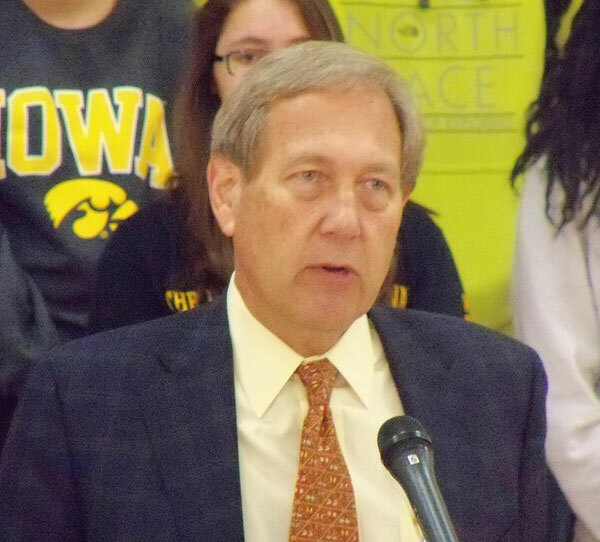 University of Iowa President Bruce Harreld is beginning his first full school year at the helm in Iowa City. The former business executive took over the job in November of last year amid protests from some faculty and students over his lack of academic background and the way his hiring was handled. Harreld says he hopes that’s all behind him. “From my perspective, we’re now hard at work on the real issues of moving the university forward. It feels like we’re a lot calmer and more focused in a lot of ways,” Harreld says. Students moved in last week and fall classes started Monday in Iowa City. “We just moved in almost 6,000 new students — we didn’t see any people running around campus complaining about things — other than we had so many refrigerators and TV’s to move in,” according to Harreld. He says he’s had good meetings the deans last week and also had a day-long faculty retreat. “So at least from my perspective it feels like we are getting settled down and back to the real issues that in my view count much more,” Harreld says. He says there were a few early issues with moving in students, but they were nothing out of the ordinary and were quickly resolved. “Just imagine moving 6,000 people and all the vehicles and families and all the refrigerators and TV’s and microwaves and sofas into dorms all across campus,” Harreld says. Harreld made his comments on Iowa Public Radio’s “River to River” program.